This delights me. I just like odd socks. Never thought of them as a business strategy but, I’ll take it! I love bizarre socks. 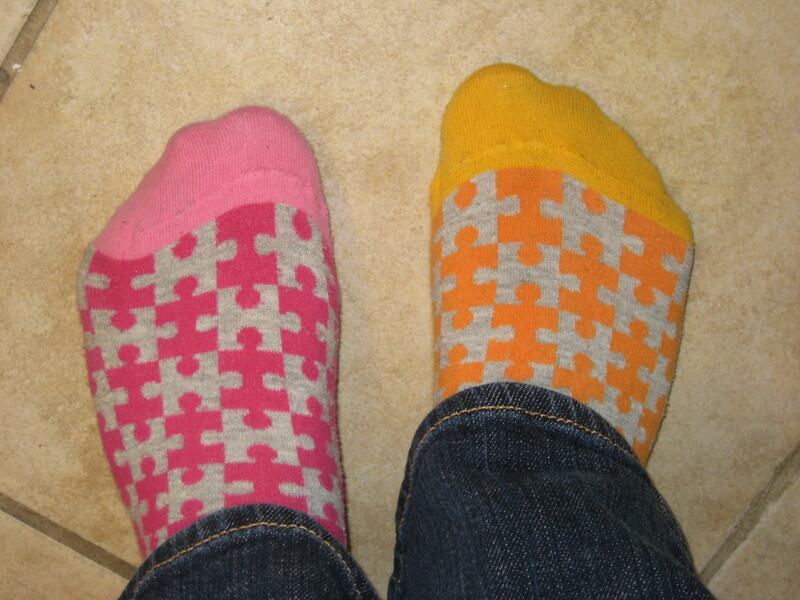 I especially love them when they do not match. I am a huge fan of Little Miss Matched, a company that sells socks in threes, on purpose. The socks will harmonize, but not match. Here are two. The third has stripes. Who knew I was doing something smart to spark my creativity and foster good business practices?